Reviewed? Really Ferrari? You’re telling us there is a way around the changes made in the regulations? 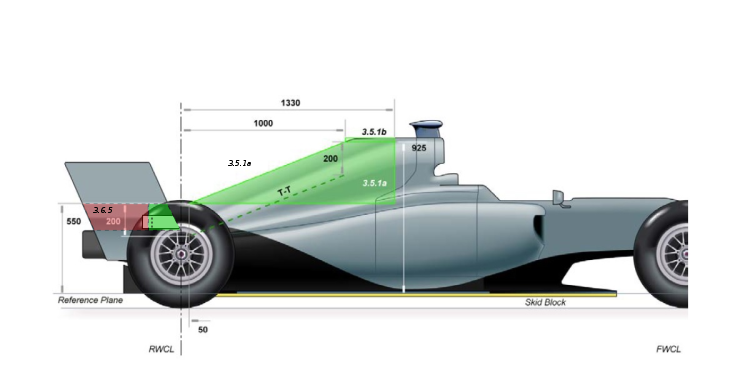 Interestingly the wording didn’t go as far as to limit the height to 550mm above the reference plane, presenting the opportunity to have a winglet in the area above and behind the engine cover that can still span 350mm either side of the cars centreline. This presents the designers with the option to have a winglet placed in a similar position to the ones used by Williams and Sauber in 2017. That’s not saying it will be desirable to do so, just that it is possible. Time to stop monkeying around? 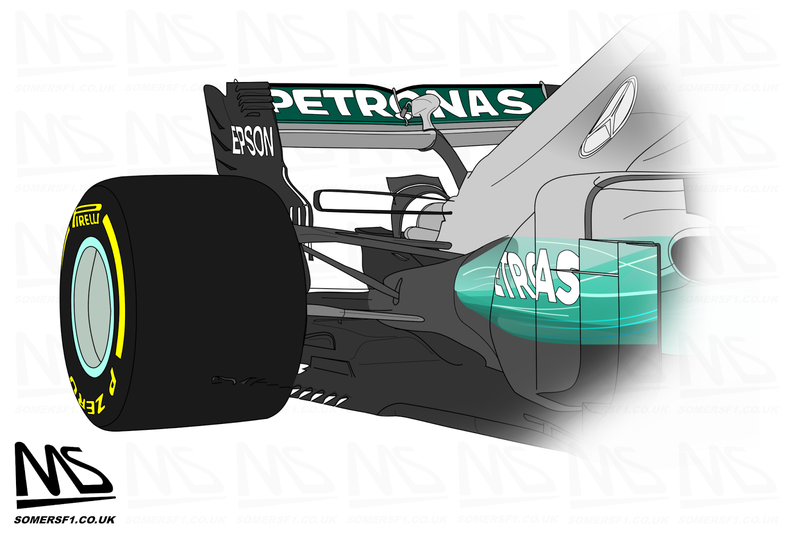 The FIA have, for years, looked to neutralise the role the exhaust can have on the aerodynamic performance of the cars. 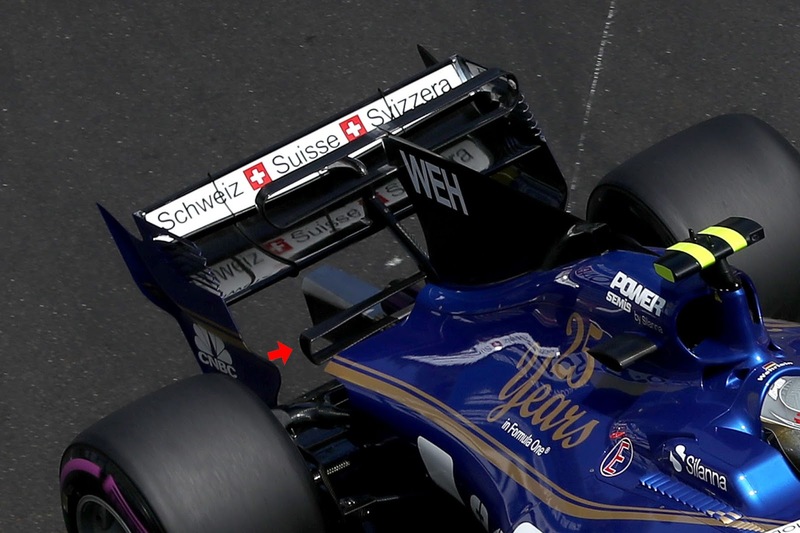 En vogue, firstly with exhaust blown diffusers in 2010-2011 and latterly with ‘Coanda’ style exhausts in 2012-13 the FIA hoped to eradicate the practice as part of the hybrid rule change in 2014, leading to a single centreline exhaust mounted just above the crash structure. Of course, this only stemmed the flow whilst the designers found ways in which to improve the aerodynamic efficiency of surrounding flow structures, before once again harnessing the otherwise wasted energy. The designers began creating surfaces and airflow structures, such as crash structure winglets, Y100 winglets (monkey seats) and optimising the diffuser and rear wing to take advantage. That’s primarily because the diffuser and rear wing work better in tandem than in isolation, with designers keen to make both flow structures to ‘talk to one another’, as the diffusers aerodynamic structure upwashes to meet with the one created by the rear wing. In order that the monkey seats influence over the exhaust plume be limited the FIA have made some changes to the regulations for 2018. Perhaps most importantly they have lengthened the position of the exhaust, requiring the tailpipe finish 50mm further back. 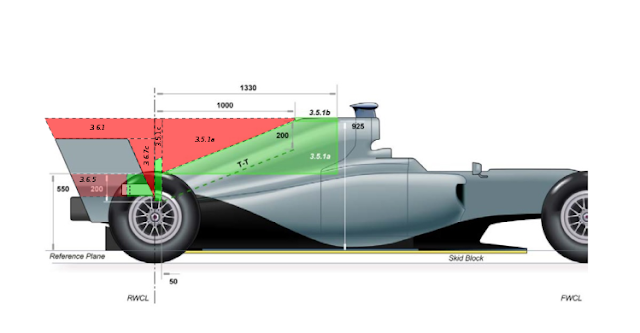 5.8.4d Be positioned in order that the entire circumference of the exit of the tailpipe lies between two vertical planes parallel to C-C and which lie between 220mm and 235mm rearward of the rear wheel centre line. 3.6.5 "With the exception of the last 150mm of the tailpipes described in Article 5.8, there must be no bodywork in an area less than 100mm from the car centre plane, more than 200mm behind the rear wheel centre line and between 400mm and 550mm above the reference plane." 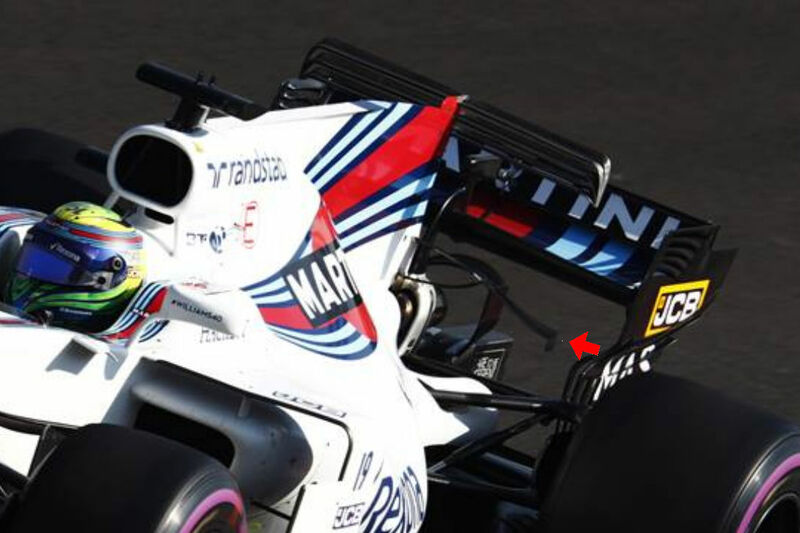 This means that any bodywork (winglets or otherwise) surrounding the exhaust will have to finish at least 20mm ahead of the tailpipe, reducing their impact on the exhaust plume. 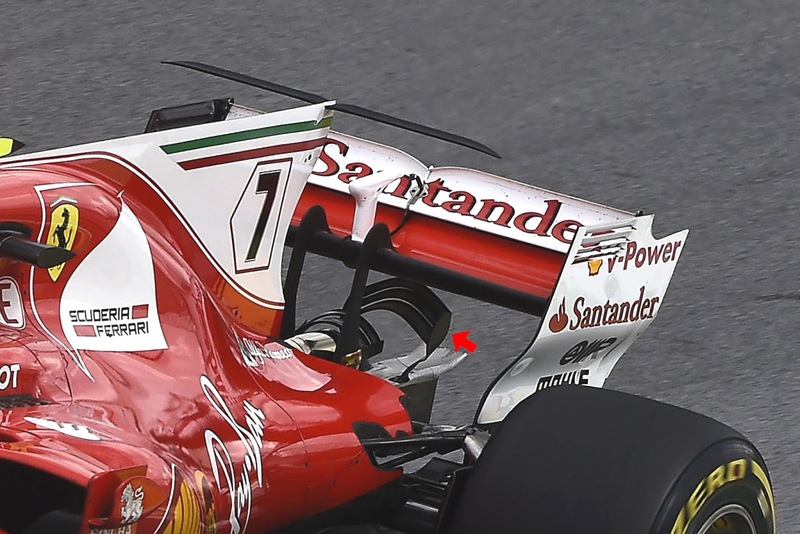 This would rule out the rearward of the two monkey seats run by Ferrari during 2017, for example. However, it doesn't mean they'll necessarily dissapear altogether, just stunted in their ability to assist high downforce rear wing configurations used at races like Monaco or Hungary. I'm not saying we will, but we could see a combination of these two devices used in order to improve rear end stability and help overcome any inefficiencies born from the rules introduced in 2017, such as the example I've illustrated at the start of this article.